Formula One is the highest class of single-seat auto racing. 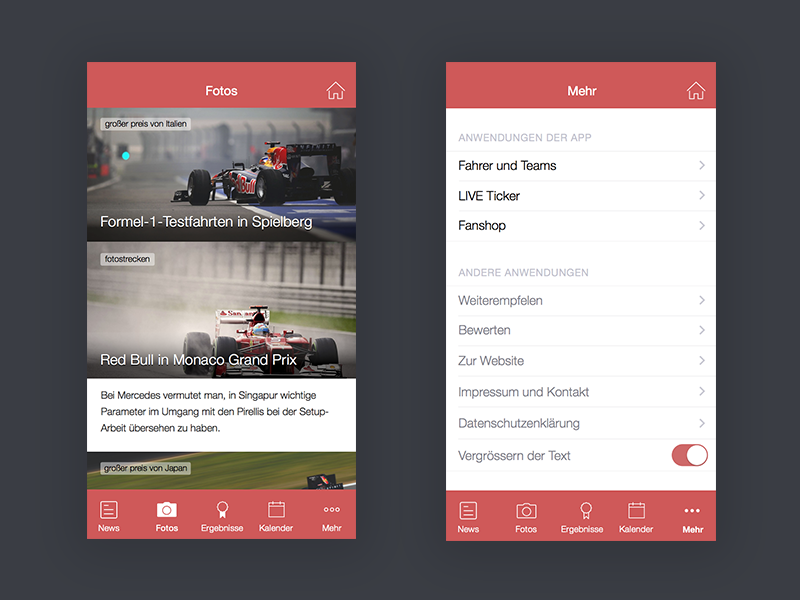 In Studio we created design for mobile application of German version of Formula-1 magazine. 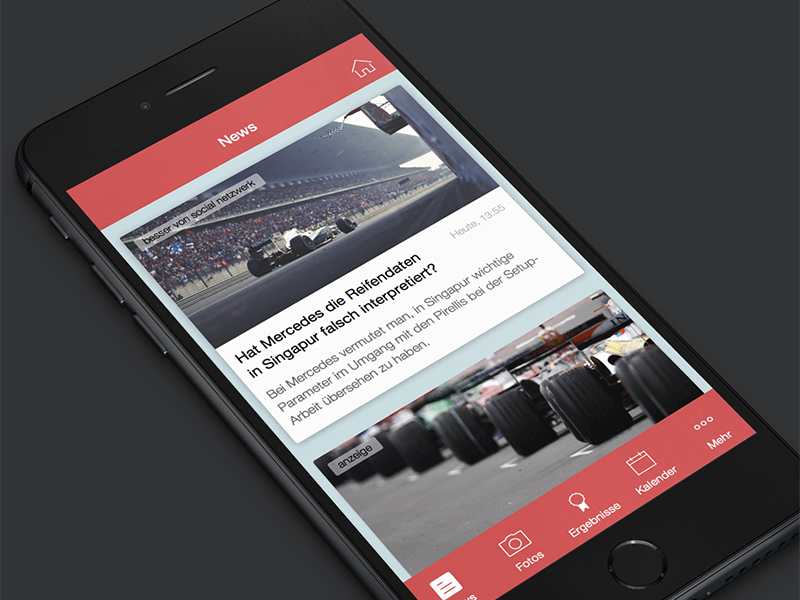 The App has section of every side of Formula-1 Championship life. 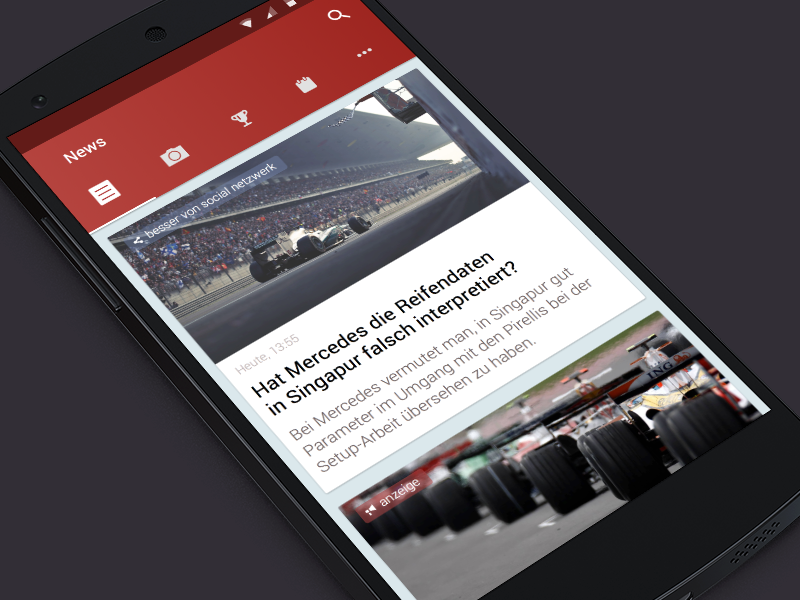 We made design with a focus on target auditory and also considered readability. 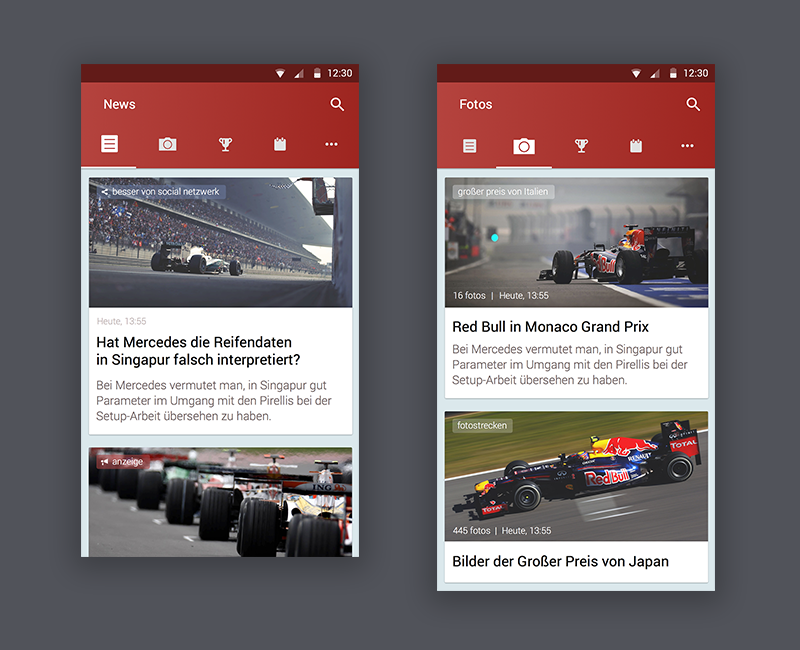 This App has the simplest minimalistic design that perfectly reaches its goal. 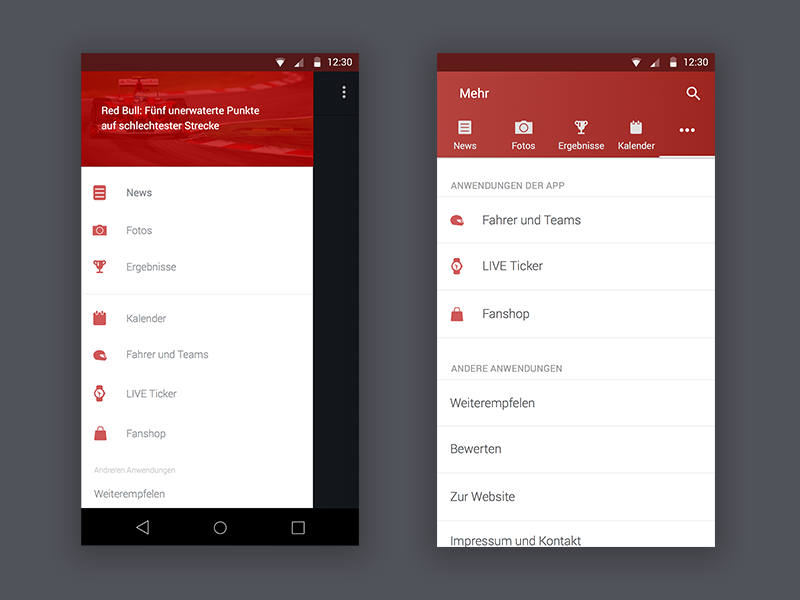 We made two concepts of the navigation to find the best solution.